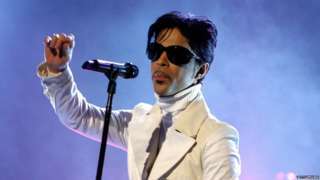 That's the end of our live coverage after the death of Prince. Elsewhere on the BBC, you can read his obituary, see a round-up of photographs from his life and work, or read fans' tributes. You can also listen to a half-hour programme of World Have Your Say, where musicians and fans from around the world remember his work. The singer Annie Lennox, who became internationally famous in the 1980s - also Prince's era - has said on Facebook that he was "untouchable". The music magazine NME has put together some of Prince's words from an interview he did with them in 1996. Quote Message: I’m no different to anyone. Yes, I have fame and wealth and talent, but I certainly don’t consider myself any better than anyone who has no fame, wealth or talent. People fascinate me. They’re amazing! Life fascinates me! And I’m no more fascinated by my own life than by anyone else’s. I’m no different to anyone. Yes, I have fame and wealth and talent, but I certainly don’t consider myself any better than anyone who has no fame, wealth or talent. People fascinate me. They’re amazing! Life fascinates me! And I’m no more fascinated by my own life than by anyone else’s. A Prince fan site has been so overwhelmed with traffic it has crashed. 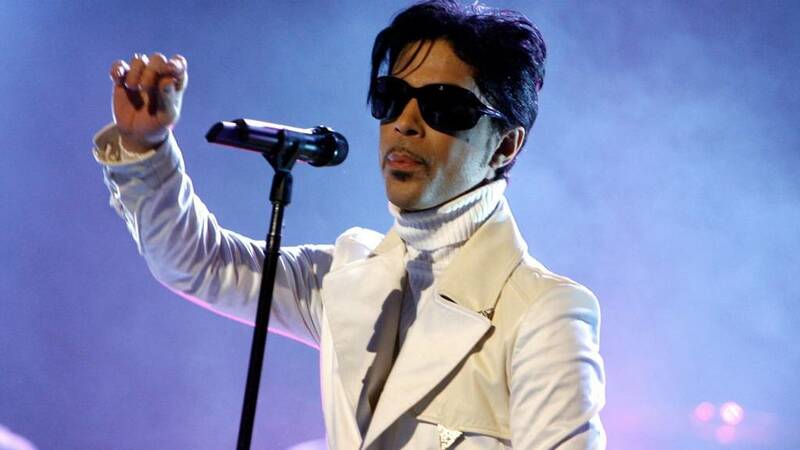 Prince.org was replaced with a message praising the star's "unique ability to touch people". A radio station in Prince's hometown of Minneapolis is playing his music non-stop today. Social media users are sharing this cartoon of Prince in his Purple Rain era, reimagined as the Little Prince from the classic Antoine de Saint-Exupery children's book. The cartoon appeared on Tumblr four years ago. Harper Lee, Alan Rickman, David Bowie, Victoria Wood, now Prince - have more famous people died so far this year than usual? BBC Radio 4's More or Less team took a look at the idea. There was a surge in people getting famous fifty or sixty years ago - does that explain the wave of celebrity deaths in 2016? Quote Message: It's heartbreaking news. Everyone is truly shocked. Bowie, now this. The two most talented adventurous creative talents of their respective generations. It's heartbreaking news. Everyone is truly shocked. Bowie, now this. The two most talented adventurous creative talents of their respective generations. A genius in the world of funk and soul. A trendsetter and a tastemaker. An electric performer with an insatiable appetite for music. He might have been named Prince but he was a King amongst musicians. In a special edition of the BBC World Service programme World Have Your Say, musicians and fans from around the world spoke to Chloe Tilly about why Prince was so influential and why they loved him. Video caption: Your reaction to the death of singer and superstar Prince at the age of 57.Your reaction to the death of singer and superstar Prince at the age of 57. Quote Message: Today, the world lost a creative icon. Michelle and I join millions of fans from around the world in mourning the sudden death of Prince. Today, the world lost a creative icon. Michelle and I join millions of fans from around the world in mourning the sudden death of Prince. Quote Message: Few artists have influenced the sound and trajectory of popular music more distinctly, or touched quite so many people with their talent. As one of the most gifted and prolific musicians of our time, Prince did it all. Funk. R&B. Rock and roll. He was a virtuoso instrumentalist, a brilliant bandleader, and an electrifying performer. Few artists have influenced the sound and trajectory of popular music more distinctly, or touched quite so many people with their talent. As one of the most gifted and prolific musicians of our time, Prince did it all. Funk. R&B. Rock and roll. He was a virtuoso instrumentalist, a brilliant bandleader, and an electrifying performer. Quote Message: My musical brother... My friend... The one who showed me the possibilities within myself, changed everything, and kept his integrity until the end, is gone. I am heartbroken. Prince - who has died at the age of 57 - was one of the most influential artists of all time with a career spanning nearly 40 years. A BBC roundup of fan tributes can be found here. Latoya Jackson said: "What a sad day today! Terribly sorry to hear that #Prince has passed! What an incredible talent we've lost! Another one going too soon!"